KANG Yi, ZHANG Yan, ZHANG Wei. 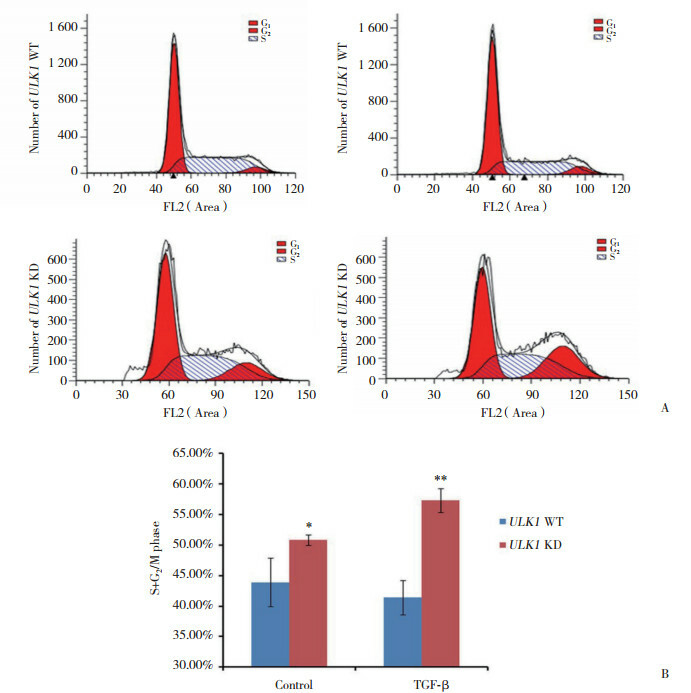 Transforming Growth Factorβ Upregulates ULK1 Expression in Vascular Endothelial Cells and Inhibits the Cell Cycle[J]. Journal of China Medical University, 2018, 47(9): 783-787. Abstract: Objective To explore the effects of transforming growth factor β (TGF-β) on ULK1 expression in vascular endothelial cells (VECs). Methods HUVEC and HMEC-1 cells were treated with TGF-β and then examined by Western blotting for ULK1 expression. FACS was used to analyze the effects of TGF-β on the cell cycle in wild-type and knockdown cells of an HMEC-1 stable cell line. 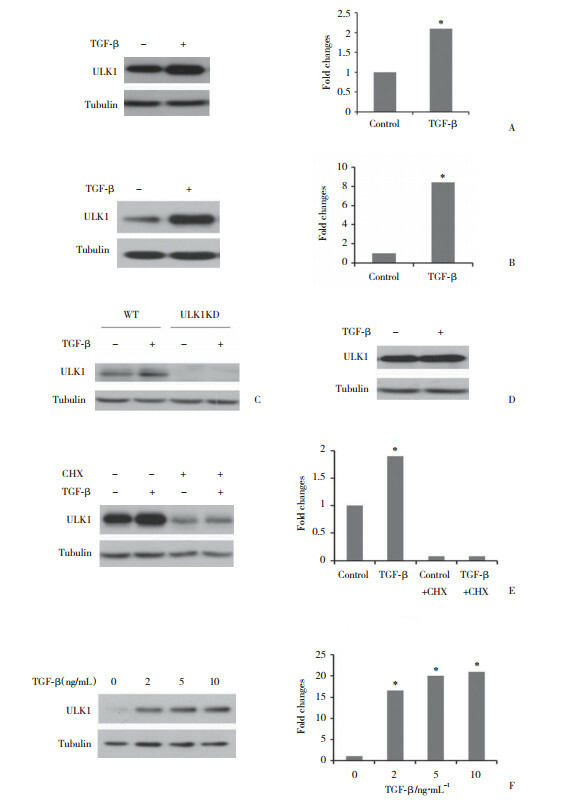 Results The expression level of ULK1 was specifically upregulated by TGF-β in VECs because of increased protein synthesis rather than inhibition of protein degradation. Furthermore, ULK1 induced G1 arrest, whereas knockdown of ULK1 promoted the progression of the cell cycle. Conclusion In VECs, TGF-β may specifically induce ULK1 expression, whereas ULK1 can inhibit the cell cycle. 1) P < 0.05 vs ULK1 WT group；2) P < 0.01 vs ULK1 WT+ TGF-β group.